Homeowners and business owners alike, seeking dependable quality service for Orlando AC installations and Orlando AC repairs anywhere in the Central Florida area, know Bob Heinmiller Air Conditioning, Inc., is the area’s number 1 resource for prompt, honest, and professional service. Bob Heinmiller founded his company in 1990, following in the footsteps of his father who practiced AC repair in Orlando since 1945. Today, three generations of our family continue the tradition of quality workmanship provided with upright positive service. We are proud to have earned an A+ rating with the Better Business Bureau, as well as multiple honors, certifications, and accreditations all attributed to our steadfast dedication. From initial inquiry to post installation support, our customers enjoy a totally uncompromised attention. In addition to our own guarantee of satisfaction, many enjoy the option of an extended warranty to cover the life of your unit even if you sell your home. Throughout Central Florida, AC repairs performed by inadequately trained technicians are negatively impacting homes. Shoddy Air conditioning repair and cut-rate AC installations done improperly can result in poor air quality and leaky vents, disastrous to both your budget and the health of your loved ones. Bob Heinmiller Air Conditioning is a preferred contractor of the Orlando Utilities Commission, using only factory trained technicians suited to service any make or model. All of our qualified technicians are NATE (North American Technician Excellence) certified, having passed extensive specialized testing to promote the highest gold standard in HVAC certification. We understand the importance of professionalism, especially when stepping into the boundary of your home. If another company’s workman seems questionable, he probably is. Every member of our staff arrives with uniform and badge, having passed drug tests and in-depth background checks that ensure only model employees are trusted in your house. 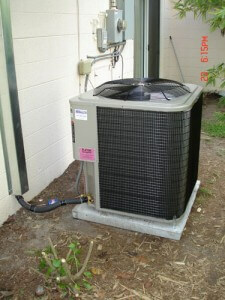 Quality in our work, our values, and our respect for the client is what sets us apart from other Orlando AC repair. We have an uncompromised commitment to stand behind our workmanship. Supplying AC repair to Central Florida homes and businesses is a promise requiring around the clock dedication. Emergency service requests are available 24 hours a day and 7 days a week, and same day service is always provided with no additional charge for overtime or travel. Fast and free replacement estimate for a newer, better unit is quick and easy. Even without the demand for major repairs, we offer free energy check-ups to assess your home for easy solutions to better more energy efficient air conditioning. When searching for Central Florida AC repair services that are fast, reliable, and affordable, call Bob Heinmiller Air Conditioning.